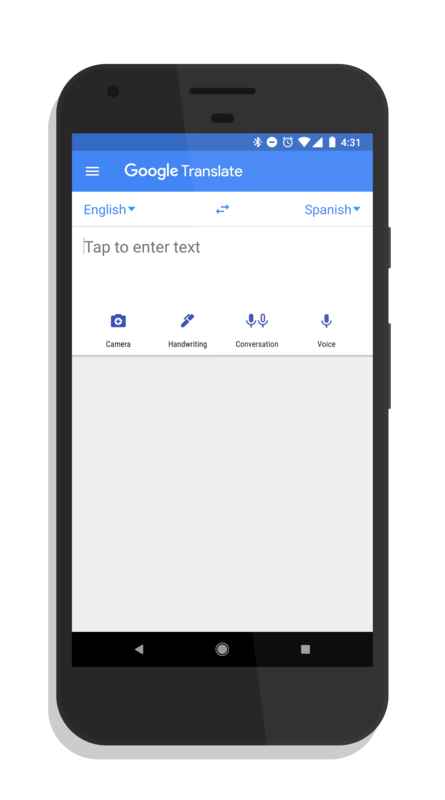 Google Translate, the language translation app that allows you to translate typed text, your voice, a voice conversation or text via your camera, has a new update rolling out today in the Play Store. Version 5.17 of the app brings a few refinements to the UI that was updated in the last build, but focuses more on language updates and overall performance improvements. In the 5.17 update, offline translation and instant camera translation from English has seven new languages: Bengali, Gujarati, Kannada, Marathi, Tamil, Telugu, Urdu. That brings the total number of supported languages to over 100, with 59 of those available offline. Along with these new languages being supported, Google Translate has some under-the-hood bug fixes and overall stability improvements. It builds on the major update that the app got last month where the UI was made lighter & brighter with a new Conversation icon added. This allows you to translate, on-the-fly, a conversation in different languages. If you have the app installed, you should see the OTA update come to your phone over the course of the next few days. If you haven’t tried out the app, it is a free download in the Play Store. While it is not the only translation app in the Play Store, it is certainly one of the best and one that Google is continually improving.